Wholehearted conversations about mind-matters, body-matters and soul-matters. Because they do. 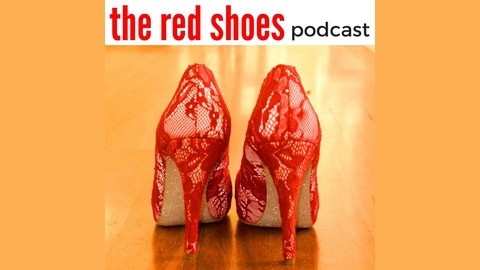 Life's too short ... wear the red shoes. 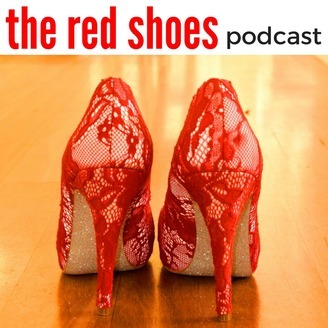 Today's episode of The Red Shoes Podcast is brought to you by the letter: C.
CREATIVITY: Curiosity. Compassion. Courage. Communication. Collaboration. Community. Brett Robin Wood is an actor, improviser, singer/songwriter, creative facilitator and founding director of Creative Wisdom, an organisation helping businesses to thrive. Brett's approach to creativity is full of paradoxes, curiosity and imagination. This episode is a little like Alice in Wonderland falling down the rabbit hole. If you're an artist or performer, I certainly hope you'll get a lot out of this conversation, but equally if you're curious about engaging with your creative spirit and how creativity might benrich your experience of life, this is definately a conversation for you. Come down the rabbit hole!